We ask Olivia Beirne, Cate Woods, Holly Bourne and Erin Kelly, who is the hardest person to buy for on your Christmas gift list? Stuck on what to get that one last person on your gifting list? Next up in our Bookends Christmas author series, we ask some of our lovely authors who is the most difficult person to buy for on their own Christmas gifting lists, and their advice on how to get around it! Definitely my Dad, without question. He’s never loved a present I’ve bought him. One year I thought I’d hit the nail on the head by giving him a framed photo of myself (which, looking back sounds incredibly narcissistic, but after four years of unsuccessful Marks and Spencer jumpers I was getting desperate) which I thought would be great for his new office. He put it straight in his room behind another photo. This year I’m going to buy him a snickers. If you are male and too old for Star Wars Lego then I will spend fraught weeks scouring the internet for brilliant, witty gift ideas, before eventually giving up and buying you socks. Again. My dad. He has everything he wants and hates ‘clutter’ which means ‘everything’. We get around him by buying him restaurant vouchers for him and my stepmother. If you would like to hear more from authors such as Olivia, Cate, Holly and Erin, then sign-up to our Bookends newsletter here! If you’re like us, you will have been working on your Christmas list for months and months. Now the time is nearly upon us, what did you ask for? Authors Cate Woods, Tasmina Perry, Mike Gayle and Lucy Dillon reveal what they’re hoping to receive this Christmas. For the past few years I have asked Father Christmas (my husband) for a Vitamix. This, for the uninitiated, is a high-speed blender, but really, it’s so much more than just that. It makes hot soup! And peanut butter! It even cleans itself! Problem is, my husband is worried that if he gives me a household gadget people might think he’s a chauvinist pig who sees his woman’s place as in the kitchen, and I sort of get his point, but surely getting me a Vitamix wouldn’t be an act of patriachal oppression if I’ve asked him for one (repeatedly)? The main reason, however, that there’s unlikely to be a Vitamix in my stocking again this year is that it’s expensive. We’re talking second-hand car expensive. And although it does boast an impressively powerful engine, it’s probably not powerful enough to give me a ride to the shops or do the school run, and certainly not with any room for passengers. So I have resigned myself to another Vitamix-less Christmas, and my husband can look forward to another year of me telling him how much cheaper and more fun it would be to make our own every time he reaches for a jar of peanut butter. I enjoy reading memoirs with a business twist, so I’d love to get Tommy Hilfiger’s American Dreamer, Jo Malone’s My Story and Alexandra Shulman’s Inside Vogue. I also like trying out new hobbies and skills so I’d be very pleased to get a voucher for a course. I recently did an evening class to learn brush lettering and calligraphy and would love to do something similarly creative, fun and a bit different. To be honest, I’m just hoping the tree will stay upright and not be pulled over by our Border terrier in a pine frenzy. It’s like a drug to him. I’m always fascinated to discover how people end up as published authors. After all, it’s not like there’s a clear, well-trodden career path, such as there is to become a vet, for instance, or an astronaut. Newspapers don’t advertise vacant book-writing positions in their careers section. You’re not going to get headhunted for a job as an author. Life may present you with the opportunity to become one, but more often than not it takes a long and complicated journey to get there. For me, that journey began back in 2002. I was working in TV as a production manager, a job that primarily involves budgets and bossiness, and since I wasn’t very good at either I knew it was time for a career change. I had wanted to be a writer since falling under the spell of The Lord of The Rings as I child, so in a moment of uncharacteristic bravery I quit my job and went to work at a celebrity magazine. I loved being a journalist. I was writing every day, meeting fascinating people and getting paid for it: most of the time it didn’t even feel like work. I remember being flown to New York to interview Bon Jovi, arriving at my luxury downtown digs and wondering how the hell I was managing to get away with it. The only slight niggle was that my skill as a writer was proving far less important than my ability to actually get the story. The job of a celebrity journalist is 90 per cent hustle and 10 per cent writing, but my talents, such as they were, lay in putting words together: I was useless at networking, chasing scoops and all the other stuff that makes a brilliant journalist. To flex my writing muscles, I started work on a novel (set in the world of celebrity magazines, naturally) in my spare time, but I soon discovered that writing fiction and journalism are as different as preparing a soufflé and mayonnaise – same main ingredient, totally different techniques – and I never got past the first chapter. I would have to stick with the mayo. It was shortly after returning to work from maternity leave, however, that life lobbed me another curveball. An opportunity arose for me to ghostwrite a style and fashion book for Katie Price and, as my editor understandably wasn’t keen to give me time off work to write 50,000 words on pink legwarmers, I took another leap of faith and left the magazine. Since then ghostwriting has led me on some fantastic adventures. I was fortunate enough to work with Mary Berry on her autobiography and have very happy memories of sitting in her kitchen as she chopped, stirred and simmered whatever we were having for lunch that day while sharing her memories. Then there were the sunny afternoons spent in Jo Wood’s living room, listening to her eye-popping tales of touring with the Rolling Stones while trying not to gawp – or blush. Fast-forward to 2014: I was pregnant again, plus all was quiet on the ghostwriting front. The time was right to have another stab at the novel. This time, however, I had a much better idea how to go about it thanks to my experience ghostwriting two novels for a TV presenter – a learning curve so steep it was practically vertical. By the time my son was born I had finished a third of Just Haven’t Met You Yet; the rest of it was written in the blur that was the first months of his life. Given the choice, I would have preferred not to write my debut novel while delirious from sleep deprivation, but there are those people who painstakingly plan their careers and those who fly by the seat of their pants and somehow, eventually, by some miracle, end up where they want to be. I’m in the latter camp, obviously. In fact, I’ve yet to met another writer who isn’t. Just Haven’t Met You Yet is out on February 11th, pre-order your copy here. Cate Woods made the most of her degree in Anglo-Saxon Literature by embarking on a career making tea on programmes including The Big Breakfast, Who Wants to be a Millionaire and French & Saunders. After narrowly missing out on the chance to become a Channel 5 weather girl she moved into journalism, where she interviewed every famous John, from Prescott to Bon Jovi, ghostwrote a weekly column for a footballer’s wife and enjoyed a brief stint as one half of Closer magazine’s gossip-columnist duo, ‘Mr & Mrs Showbiz’. Cate left the magazine world in 2009 to pursue a full-time career ghostwriting celebrity autobiographies and novels. She lives in London with her husband (not Mr Showbiz) and two small children. I’d be a marine biologist so that my office would be a dive boat in the Maldives. Tokyo, for the otherworldly craziness of the place. And the food. Jeans. I am on a lifelong quest to find the perfect pair. I saw ‘Star Wars’ and loved it – although Carrie Fisher’s face was a bit distracting. I would love to be able to speak any language in the world. ‘How to be a Woman’ by Caitlin Moran. Watching ‘Jerusalem’ with Mark Rylance was like being slapped round the face, in the best possible way. Honestly, everyone else is just as worried as you are. Strictly. I would die happy if I could get a Ten from Len. If I need cheering up I Google videos of Kirsten Wiig on Saturday Night Live. I’d need to go back in time and decide not have children. Chocolate, to avoid the unfortunate Hansel-and-Gretel-witch vibe of gingerbread. Bit controversial this one, but Gwyneth Paltrow’s ‘It’s All Good’ actually has some brilliant recipes. It’s really not just ‘250 ways with kale’. You’d think that with Christmas being over and the fact it’s probably time to contemplate the January detox, we’d be starting to get the blues about now… But we’re actually feeling rather smug because 2016 is set to be a mammoth year for debuts. It can be tempting to stick to your favourite authors that you know and love – we know this only too well – so we’ve put together a guide to the newest kids on the the block to show you why you definitely shouldn’t! This truly unique first novel will whisk you away to remote 1940’s China, in a boarding school perched on a mountain for the children of British missionaries. As her parents pursue their calling to bring the gospel to China’s most remote provinces, ten-year-old Henrietta S. Robertson discovers that she has been singled out for a divine calling of her own. Etta is quick to enlist her dorm mates in the Prophetess Club, which busies itself looking for signs of the Lord’s intent. (Hark.) As rumours of war grow more insistent, so the girls’ quest takes on a new urgency – and in such a mystical landscape, the prophetesses find that lines between make believe and reality become dangerously blurred. You can preorder your copy of IN A LAND OF PAPER GODS here. Percy James has everything a girl could want: a comfy flat, a steady relationship and a truly lovely group of friends. Then she is approached by Eros Tech. 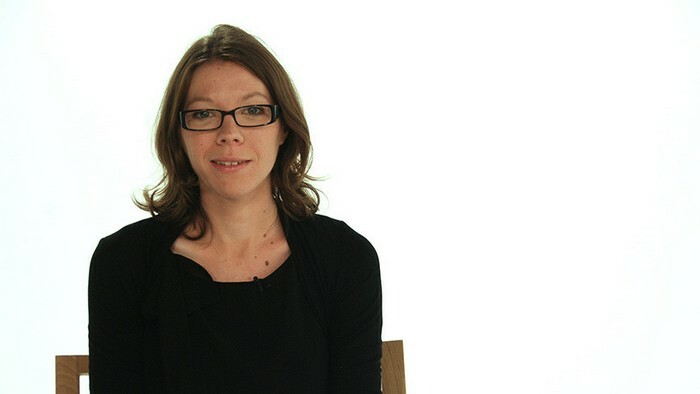 Eros is ‘the future of love’ – an agency that brings together soulmates using mobile data. Percy has been identified as a match for one of Eros’s super wealthy clients. The only problem is she already has a boyfriend . . . but what if this is *destiny*? Would you – could you – pass up a chance to meet your one true love? This riotous romantic comedy with a warm heart and magnificent twist taps into the phenomenon of online dating and offers a new take on modern relationships. 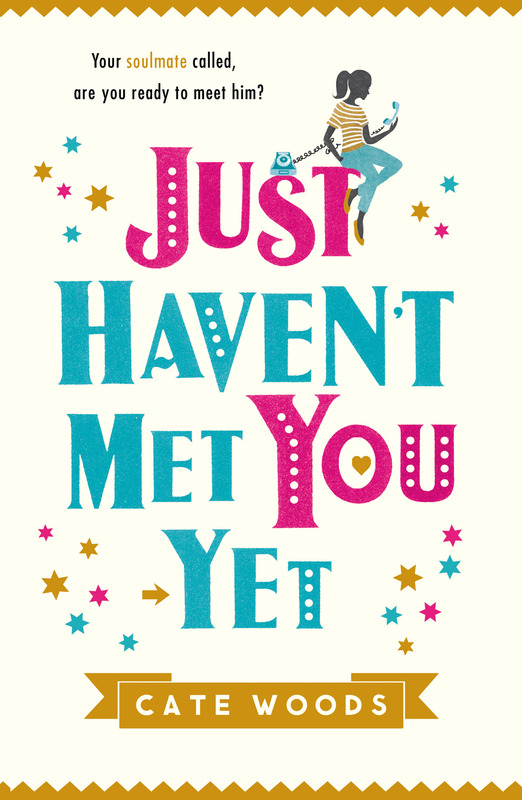 You can pre-order your copy of JUST HAVEN’T MET YOU YET here. If you’re looking for a book with the freshness of a debut but with the style of a far more experienced author, then LOOK AT ME is the book for you. Sarah Duguid’s story begins with the discovery of a letter by Lizzy in her father’s study, from a sister she never knew existed. Out of defiance towards her narcissistic, bohemian father, she invites Eunice into their world and lives to regret it, as Eunice seems determined to drag the family out of the comfort of an unspoken grief. You can preorder your copy of LOOK AT ME here. The debut novel by actress and presenter Janet Ellis, THE BUTCHER’S HOOK is the dark and twisted tale of a young girl in 18th-century London determined to take her life in her own hands, no matter the cost. You can preorder your copy of THE BUTCHER’S HOOK here. You can preorder your copy of THE MADWOMAN UPSTAIRS here. Stubborn to the end, Marjorie refuses to fill in the pieces of her daughter’s fragmented past. Then Louise unexpectedly finds a lead. A man called David Prescott . . . but is he really the father she’s been trying to find? And who is the mysterious little girl who appears so often in her dreams? As each new piece of the puzzle leads to another question, Louise begins to suspect that the memories she most treasures could be a delicate web of lies. This one will keep you on your toes until the very last page! You can preorder your copy of WHAT SHE NEVER TOLD ME here. You might have heard us getting worked up about this one already. It’s the story of Ona Vitkus, an 104-year-old Lithuanian, her extraordinary life and her friendship with an extraordinary boy, who loves world records and birds and lists and who, one day, disappears. It’s also about his father’s grief and his determination to finish what the boy started, and about finding hope in the everyday. This book seriously is one in a million. 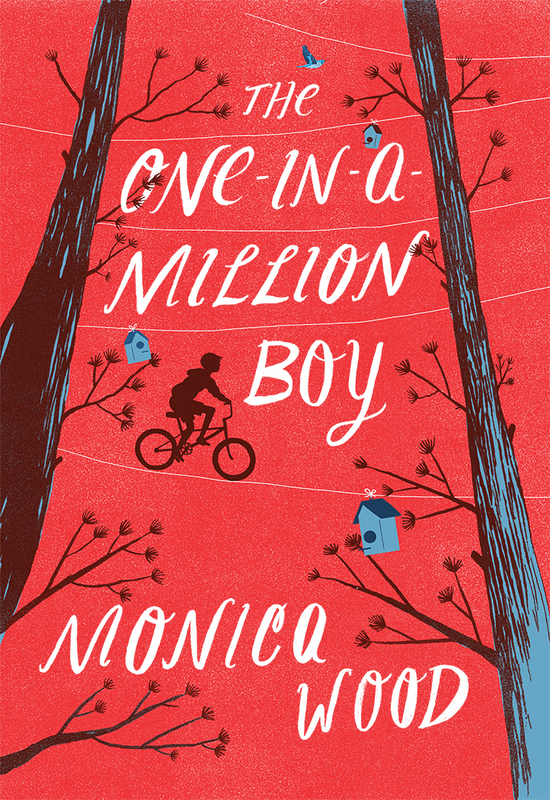 You can preorder your copy of THE ONE IN A MILLION BOY here. Powerful, touching and ultimately uplifting, Victoria Walters’ debut novel about a young woman who becomes a widow aged twenty-four is a heartfelt tale of love, loss, and finding the courage to love again. Victoria has been a bookseller for a number of years, so trust us when we say she knows how to tug on the reader’s heartstrings. 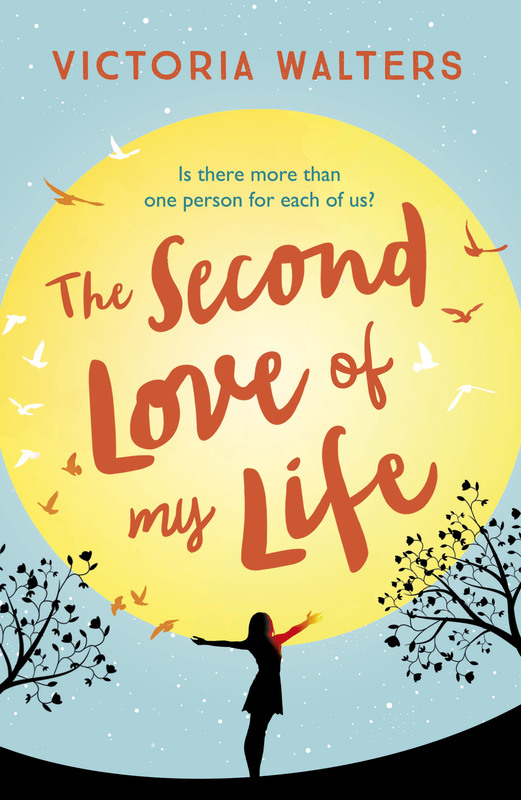 You can preorder your copy of THE SECOND LOVE OF MY LIFE here. Eden Gardens, Calcutta, the 1940s. In a ramshackle house, streets away from the grand colonial mansions of the British, live Maisy, her Mam and their ayah, Pushpa. Whiskey-fuelled and poverty-stricken, Mam entertains officers in the night – a disgrace to British India. All hopes are on beautiful Maisy to restore their good fortune. But when Maisy’s tutor falls ill and his poetic and ambitious son stands in, a love affair begins that will cast her future, for better and for worse. Vivid and completely unforgettable, we cannot wait. 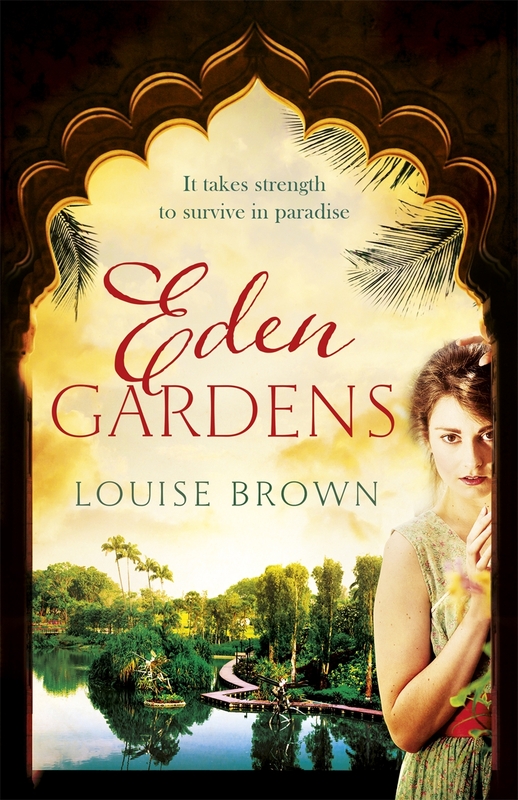 You can preorder your copy of EDEN GARDENS here. A love story with a difference: a modern-day Sleeping Beauty tale about the unusual relationship that develops between two people, one of whom is in a coma – perfect for fans of Jojo Moyes and John Green. Originally published in French as Je Suis La, it won the 2015 Nouveau Talent Award. You can preorder your copy of I’M STILL HERE here. Don’t forget to let us know which one you’ll be reading first on Twitter and Facebook!